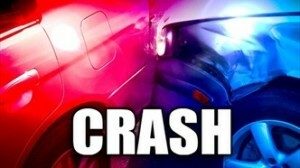 PINE TOWNSHIP – A 19-year-old Alexandria, VA man, William G. Glass, was flown to the Altoona Hospital following a single-vehicle accident at 1:31 a.m. Sunday on state Route 153 in Pine Township, reported the Clearfield-based state police. Glass was traveling southbound when he lost control of his vehicle for unknown reasons. It exited the right side of the roadway at which point it became airborne for a short distance. It then began to overturn when it landed but struck a tree with its roof and a second tree with its front end. Glass was wearing his seatbelt at the time of the accident. He sustained major injuries. His vehicle sustained severe damage and was towed from the scene.